New Orleans, LA – The P.T.G. 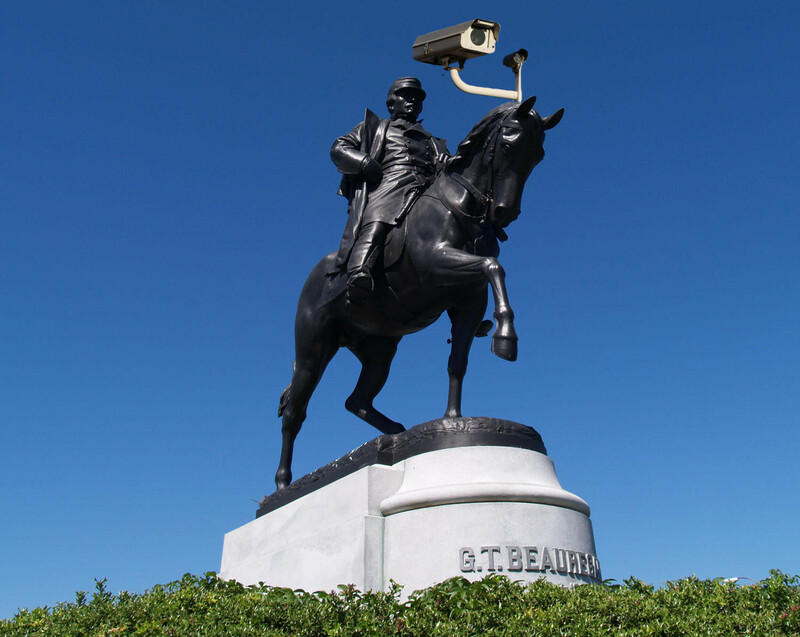 Beauregard Monument, once slated for removal, will be left up indefinitely after a protester attached a traffic camera to it. In less than two days, the camera had already generated over nine thousand dollars in revenue for city hall. ← Louisiana sells movie rights to next three environmental disasters to Warner Bros.